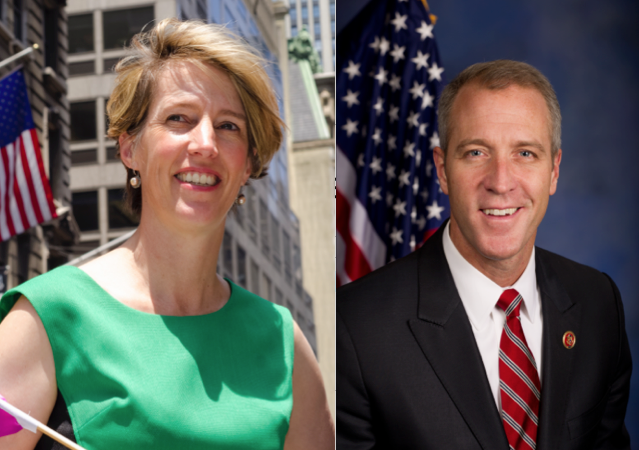 Professor Zephyr Teachout (left), a 1989 graduate of Hanover High, and U.S. House Rep. Sean Patrick Maloney (right), a 1984 graduate of Hanover High, are both running to be Attorney General of New York. Picture source: Wikipedia. Two Hanover High School alums are set to compete against each other and several other candidates on the political campaign trail this summer in a closely watched race for the office of New York Attorney General. Zephyr Teachout, a law professor at New York City’s Fordham University and 1989 Hanover High graduate, officially launched her campaign last Tuesday for the now vacant post of Attorney General (A.G.) after initially declaring her desire to enter the race last month. Then, only one day after Teachout’s launch event, U.S. House Representative Sean Patrick Maloney, a 1984 Hanover High graduate who now represents New York’s 18th Congressional District in Congress, also announced his intention to join the race for AG. Both Teachout and Maloney are running as Democrats. Teachout, a native of Norwich, VT, began her campaign on Tuesday at an event in front of Trump Tower (home of U.S. President Donald Trump) in New York City. She started her speech by laying out what she called her top four priorities if elected attorney general: “Fighting Trump, taking on Albany corruption, fighting corporate scams and corporate monopolies, and spearheading the moral argument against mass incarceration.” Trump figured quite prominently into her speech. She emphasized at several points that she plans to go after the president on what she views as violations of the law, especially anticorruption laws. However, she also faulted the state of corruption in New York itself for allowing corruption to grow. Specifically, she said, “Trump’s power didn’t grow out of nothing: it grew out of New York finance and New York real estate. So investigating his real power means being ready to look under the hood in New York finance and New York real estate.” She went on to call for increased efforts to fight corruption at the statewide level. A full transcript of her speech can be found in the attached link. Although she has never held elected office, Teachout has a long history of involvement in politics and the law. 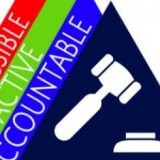 Much of her work has focused on combating corruption within the government and campaign finance reform. In 2014, she wrote a book calling for campaign finance reform titled Corruption in America: From Benjamin Franklin’s Snuff Box to Citizens United. She has also run for elected office twice in New York: once in 2014 when she unsuccessfully challenged incumbent New York governor Andrew Cuomo in the Democratic primary for governor, and another time in 2016 when she lost the race for U.S. House Representative in New York’s 19th Congressional District to Republican John Faso by nine percentage points. During her 2016 campaign, she was one of the first down-ballot candidates to receive an endorsement from U.S. Senator (and then-presidential candidate) Bernie Sanders. After the 2016 election, Teachout was part of a group of plaintiffs who attempted to take President Trump to court in the lawsuit Citizens for Responsibility and Ethics in Washington v. Trump; the lawsuit, which was dismissed in the US District Court for the Southern District of New York due to lack of standing, accused the president of violating the Foreign Emoluments Clause of the US Constitution (which prohibits federal officials from accepting payments from foreign governments) on the grounds that Trump-owned buildings were taking rent payments from foreign governments. Until declaring her candidacy in the New York attorney general race, Teach out had also been serving as a treasurer in the campaign of New York Democratic gubernatorial candidate Cynthia Nixon. Maloney ran for attorney general back in 2006 as well, but only got third place in the Democratic primary; Andrew Cuomo won the nomination and ultimately the general election. Maloney then joined the administration of then-governor of New York Eliot Spitzer. It’s also worth noting that Maloney worked as a staff secretary for President Bill Clinton from 1997 to 2000. The 51-year-old Maloney’s decision to run, however, sparked controversy when he said that he planned to continue his house re-election campaign even as he ran for attorney general. Although he promised to drop out of his House race if he did end up winning the Democratic nomination for attorney general, legal experts still can not agree whether New York and federal election laws allow Maloney to operate two campaigns at once. Also in question is the amount of money that Maloney can legally transfer from his House re-election campaign account to his campaign for attorney general (the New York Times reports that Maloney currently holds $3.15 million in his House re-election account). Some Democrats are also concerned that Maloney’s congressional seat could be exposed to Republican takeover if Maloney takes part in the general election for attorney general, as Maloney’s district was won by Donald Trump in the 2016 presidential election. Maloney’s time in the House of Representatives has been eventful. He currently serves on the House Committee on Agriculture and the Committee on Transportation and Infrastructure. 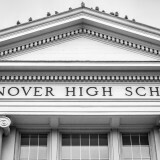 Maloney and Teachout both graduated from Hanover High School in the 1980s, but never overlapped during their time at the school. Both also hold the distinction of being featured on Mr. Murphy’s HHS alumni board in the first floor hallway. Teachout continues to hold a famous place in the school’s athletic history for the feats she accomplished and the records she set during her time on the HHS cross country running and track teams. She ran to win first place as an individual at the the girls cross country races at the NH Meet of Champions in 1985 and 1987 as well as at the New England Championships in 1985 (her freshman year). Technically, Maloney and Teachout are currently competing to win the state’s democratic primary for attorney general; winning the primary is essential to receiving the Democratic Party’s nomination, which in turn gives the nominated candidate a guaranteed spot on the general election ballot. Also running in the Democratic primary are New York City Public Advocate Letitia James (who has a long list of endorsements, including one from New Yorker governor Andrew Cuomo) and Leecia Eve, a lobbyist for Verizon and former adviser to Hilary Clinton and Andrew Cuomo. There is also speculation that other politicians such as former U.S. attorney for Manhattan Preet Bharara will enter the race as well. Teachout, Maloney, and Eve are all still in the process of gathering enough signatures to make it onto the primary ballot. James is already guaranteed a spot on the primary ballot since she received an endorsement from the New York Democratic Party at the state convention. The New York attorney general Democratic primary will be held on September 13. 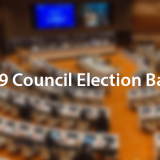 The winner will go on to the general election on November 6, where they will compete against the nominees from other political parties. The office both Teachout and Maloney are running for was vacated last May when then-Attorney General of New York Eric Schneiderman abruptly resigned from his post after a story published in the magazine The New Yorker reported that four women with whom he had previously been romantically involved accused him of physically assaulting them. New York Solicitor General Barbara Underwood has been serving as acting attorney general since then, and will continue to do so until Schneiderman’s term finishes at the end of the year.